When you're meticulously packing for your hike to the top of Lone Peak to get a weekend of climbing in, pack your Therm-a-rest Parsec 20 Degree Down Sleeping Back for the trek and stay. With the Parsec's slim design and ultralight weight, this is the perfect sleeping back to pack when you already have to haul a rack, water, food, and your other climbing gear up the 12-mile trail. 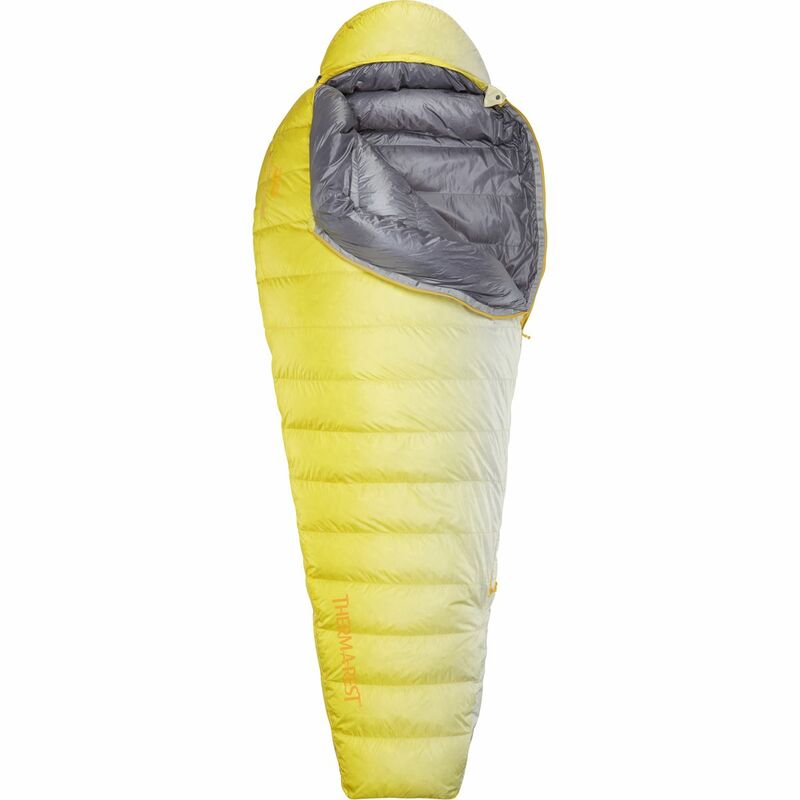 Constructed with ripstop polyester and hydrophobic down, this sleeping bag will keep you warm on chillier fall nights and early spring evenings and dries quickly in case you spill a beer or collect dew on the Parsec over the night. The large footbox has an extra pocket of down to keep your toes extra warm on cold nights under the stars so by the time morning comes, you'll be well rested and toasty, ready to get on the granite walls. 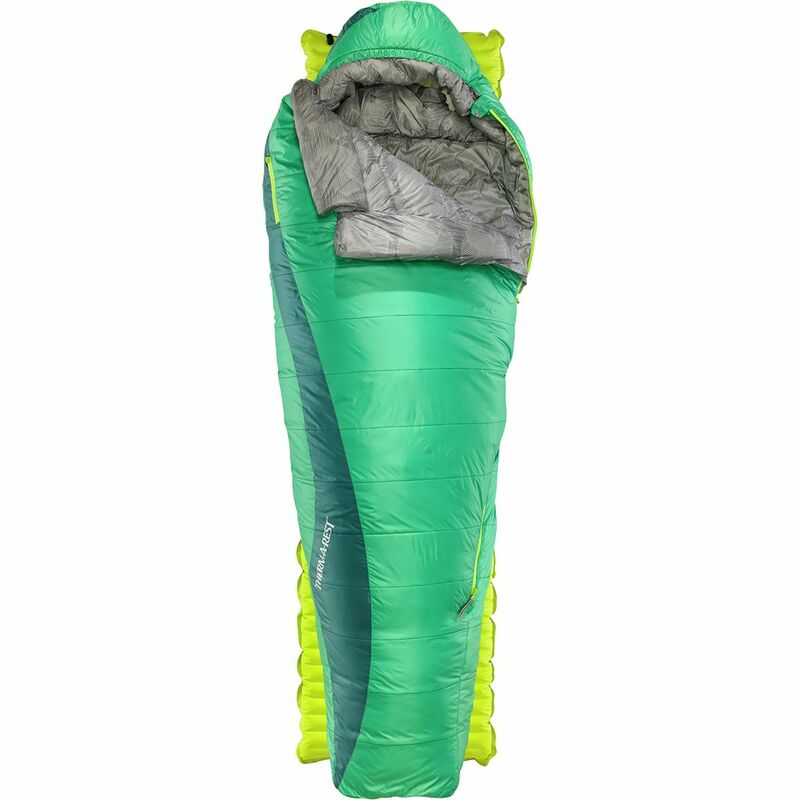 The hood-less version of its sibling bag, the Hyperion, the Therm-a-Rest Ohm Sleeping Bag also makes its debut in 2019 as an ultralight backpacking option for those headed out on the trail during the shoulder seasons under uncertain weather. 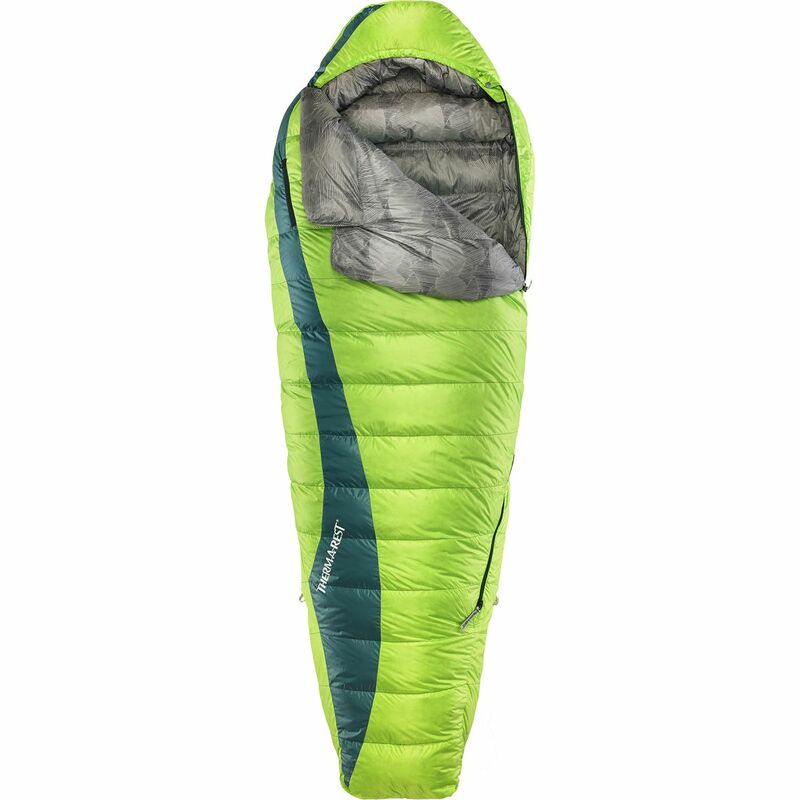 While this version doesn't have a hood, it does offer a roomy fit that has the ability to convert into a two-person quilt, depending on your company, for an unencumbered night's rest. 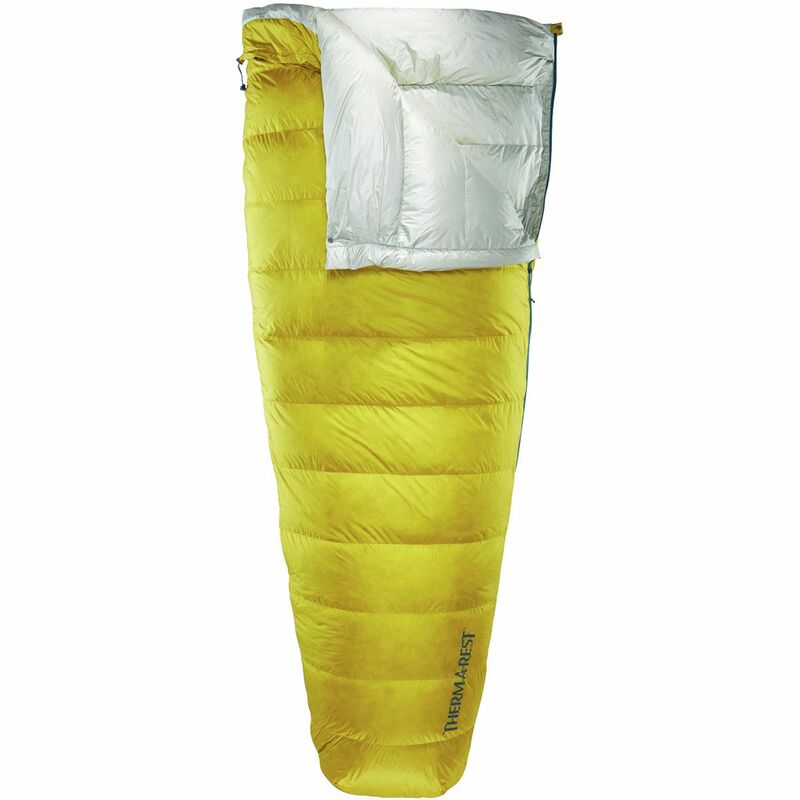 It boasts impressively warm 900-fill down insulation to keep you warm when the nights flirt with freezing, and is treated with Nikwax in order to retain heat-trapping loft when you undoubtedly face moisture on your trip. Cinch the draft collar down on colder nights for snuggle-worthy comfort, which is bolstered by the ThermaCapture lining that retains precious body heat without adding bulk or weight. Beyond tipping the scale at just over a pound, the Ohm packs down to little more than the size of your favorite 1-liter water bottle for space-conscious trekkers. 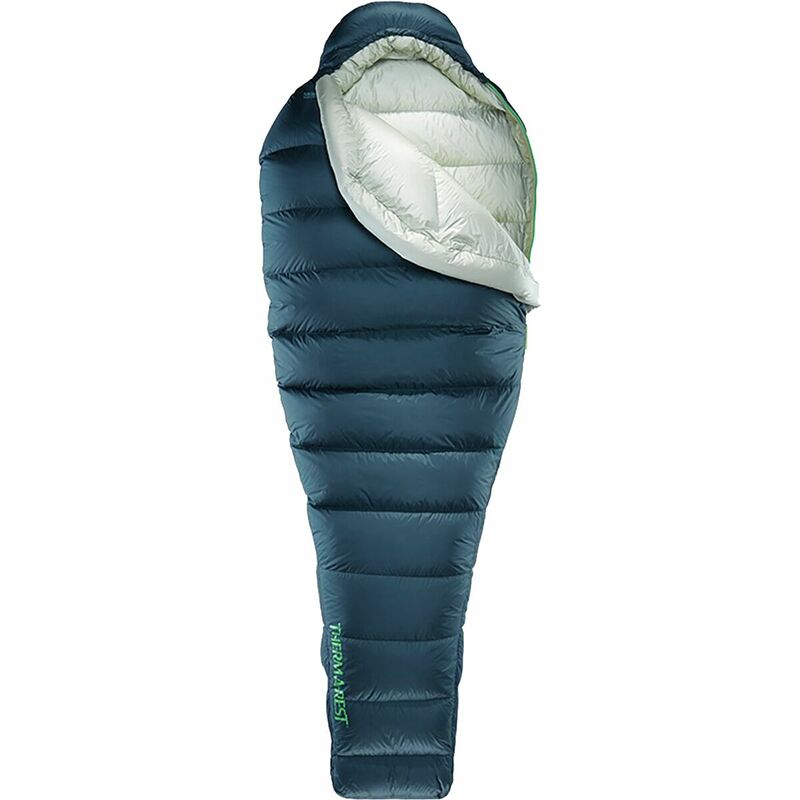 Slide the featherlight Therm-a-Rest Hyperion Sleeping Bag: 20 Degree Down into your trusty backpacking pack before a long through hike. 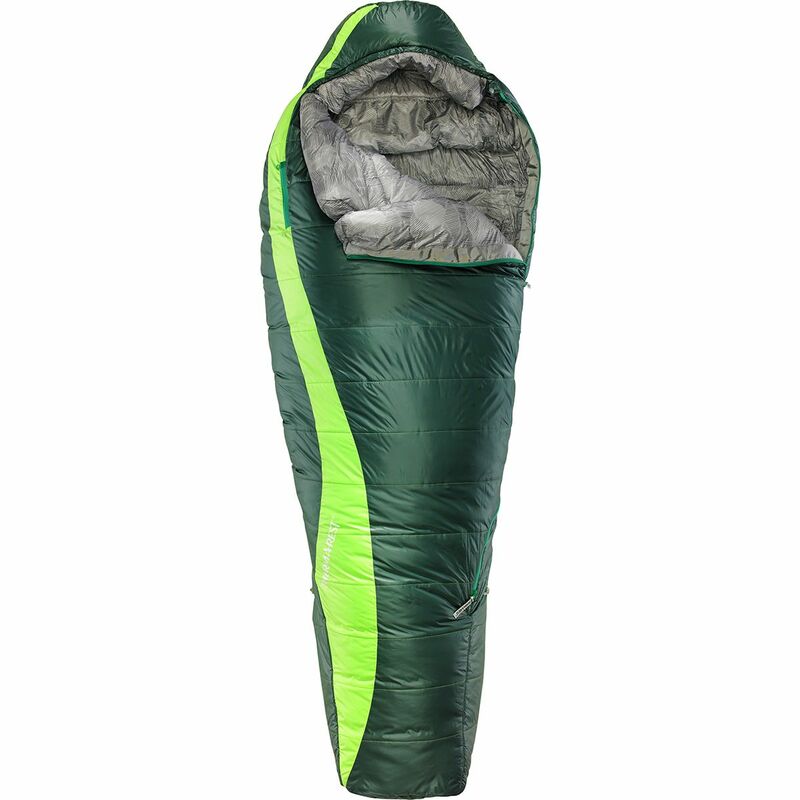 The lightweight and packable construction of this sleeping bag will ensure there is plenty of room in your pack for other necessities. 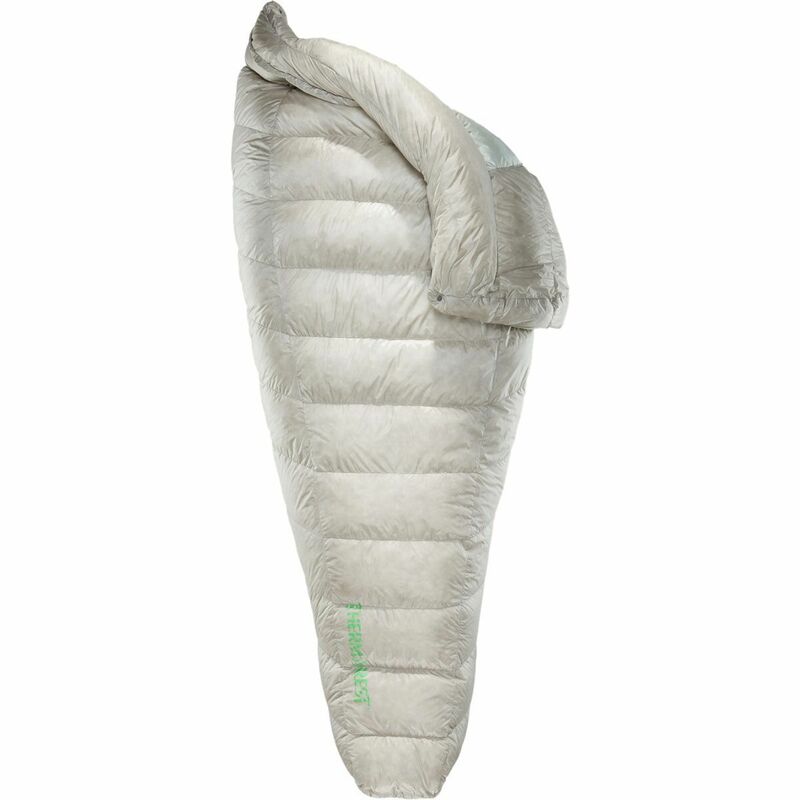 The 900-fill Nikwax Hydrophobic Down makes this warmth and packability possible by trapping your body heat in strategic areas and compressing to an impressively small size. As an added bonus the Nikwax treatment means the down can handle moisture without losing its loft so that a surprise rainstorm wont ruin your trip. This bag also features an ergonomic shape and longer zipper that makes it far more comfortable than some competitors bag in the ultralight category. 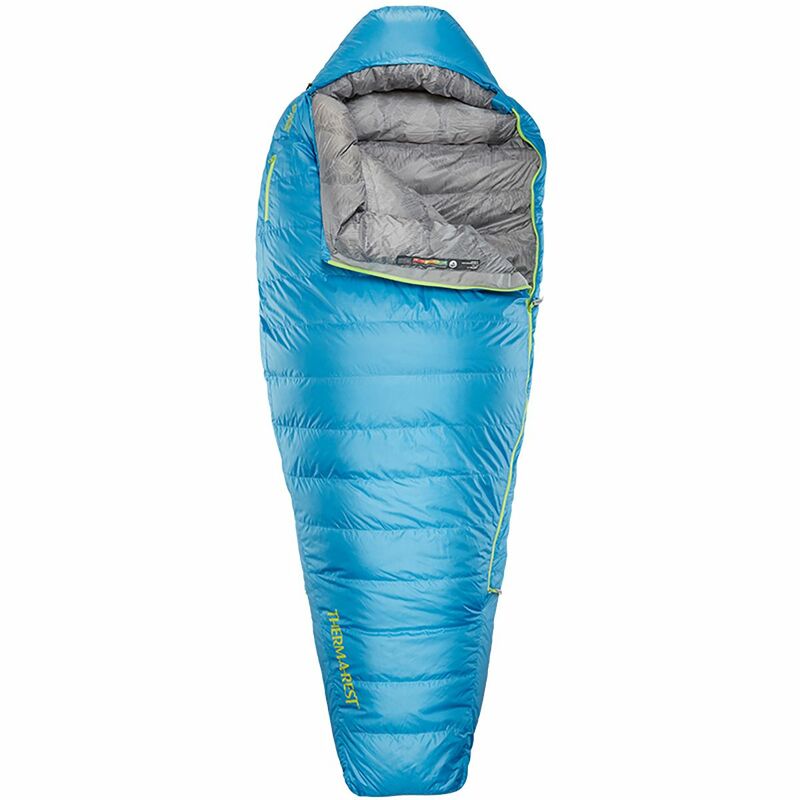 For through-hikers who want nothing but the essentials in their minimalist pack, the Therm-a-rest Vesper 20 Degree Down Sleeping Bag is their ticket to warmth and comfort in a lightweight, no-thrills package. Stuffed with an impressive 900-fill serving of down, this bag will keep you toasty on cold spring and autumn trips, and it features a classic box baffle construction to maximize loft and minimize cold spots. The insulation has been treated with NikWax, which helps the down stay dry and retain heat-trapping loft 60 times longer than untreated down. This streamlined quilt bag features a zipperless design and insulation-free back, minimizing excess materials where they'd normally go to waste. 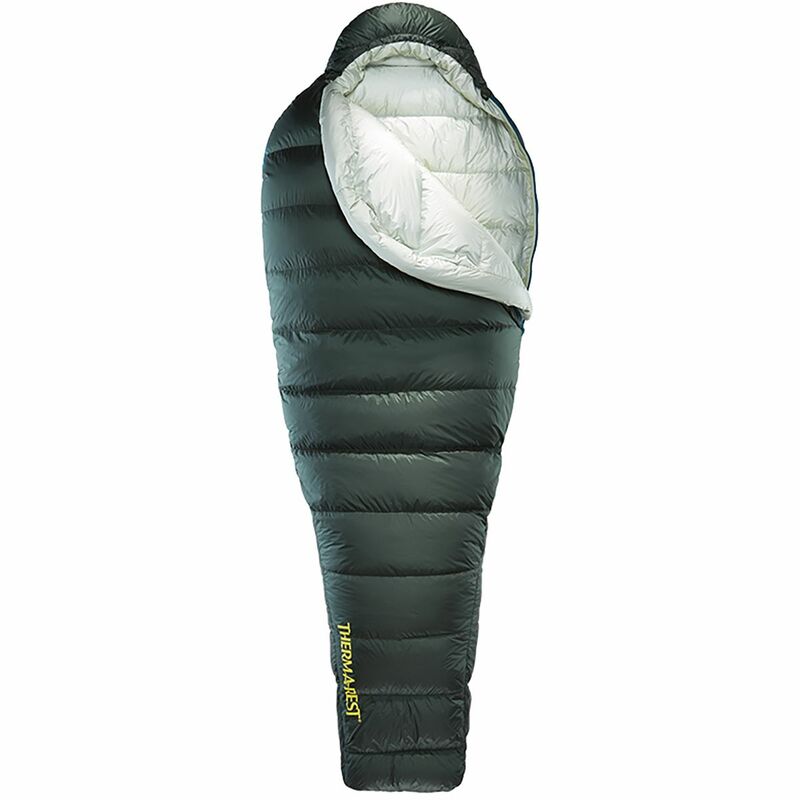 Perimeter side baffles, a snap neck closure, and the insulated footbox all combine forces to eliminate chilly midnight drafts, while the bottom can be secured to your sleeping pad using the SynergyLink tabs. When you're ready to pack up in the morning, the Vesper takes up barely more room than your beloved single liter water bottle.